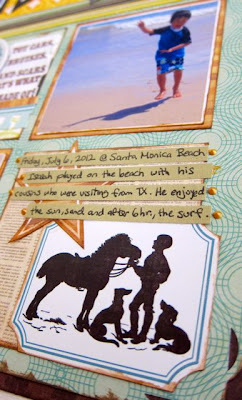 Hello Pages Peeps, this is Michelle back again to show you my second project for July. 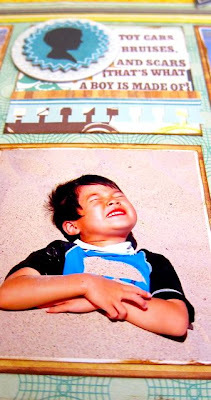 I highlighted a vacation mini-album already, today I'm featuring a layout and I will be revealing two cards next. Hopefully there will be something for everyone. 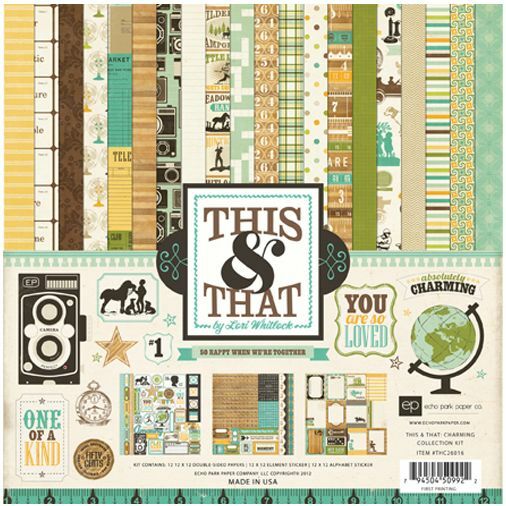 Since I received the boy version, of Echo Park's This & That collection, I wanted to make a boy layout so I could utilized all the fun chipboard and cardstock stickers in the collection. I used six 3 x 3" squares for the central portion of my layout. This is a good porportion for a page when designing a layout as the squares take up 9" across a 12" page, leaving 1" margins on each side and 1/2" margins between photos. You can use all six squares for photos or any combination depending on your need. I liked the balance of 3 photos and 3 decorative boxes. 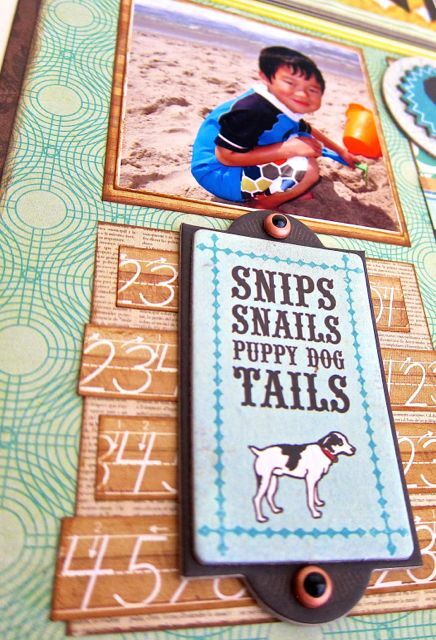 One super cute component in this collection is the pack of layered chipboard stickers. They really add some dimension to an otherwise flat looking page. 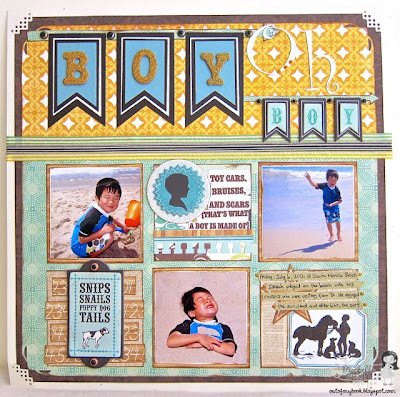 I decided to feature the boy banner chipboard in my "Boy oh Boy" title. 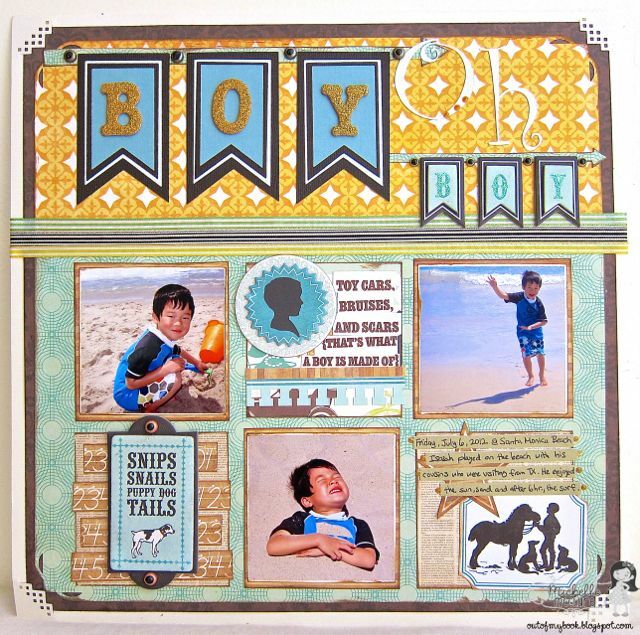 The chipboard stickers comprise the smaller boy banner and I recreated the larger boy banner using cardstock, my Silhouette Cameo and some glittered Thickers. For each letter, I cut out the banner 4 times in 4 sizes and 3 colors to replicate the look of the original. 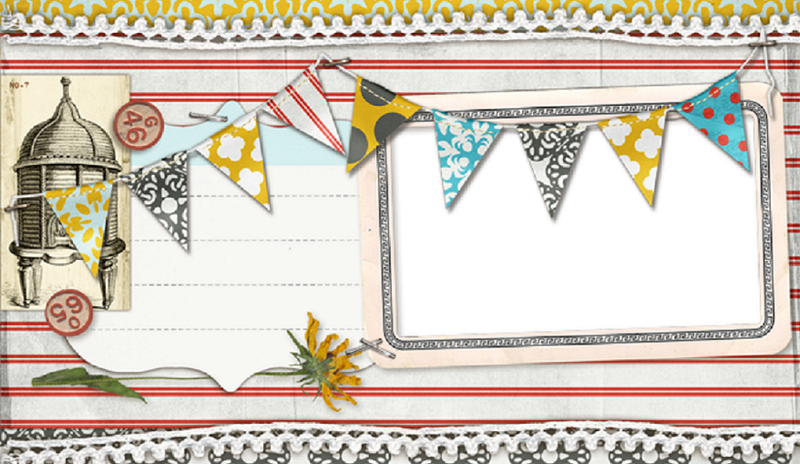 If you would like the downloadable banner cut file for your Silhouette Cameo, I've included it below. I layered journaling strips over some cardstock stickers and accented it with a Pearl Pen. 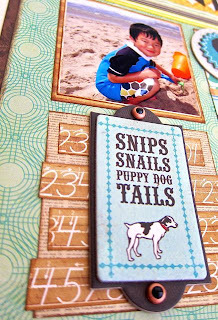 To continue the look of the journaling strips, I cut up a border sticker into smaller strips and layered that behind a chipboard sticker. There was a large sentiment sticker that was wider than my 3" box, so I also cut that into smaller strips so it fit the look and fit the box. Feel free to adjust embellishments to fit your scale or recreate your own to complement existing ones. 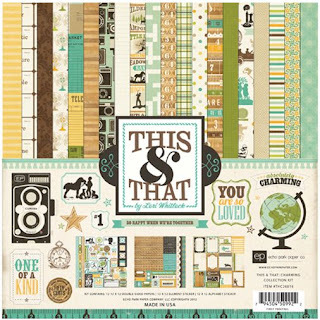 For all the patterned papers and stickers, I used Echo Park's This & That, Charming version. The blue, green and yellow palette lends itself well to outdoor nature themed photos along with boy themed photos.